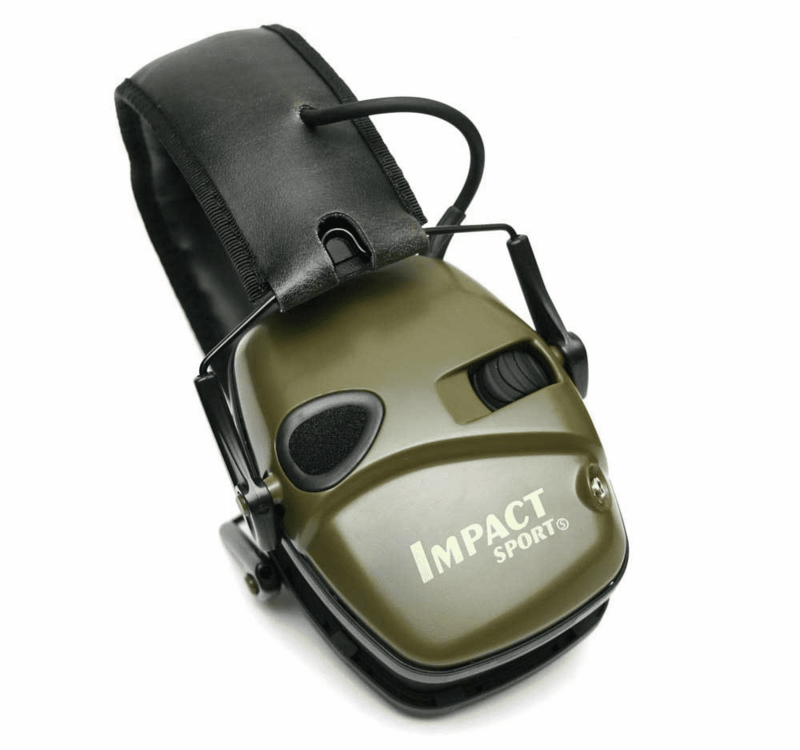 Howard Leight By Honeywell R-01526 Impact Sport Sound Amplification EarmuffHoward Leight By Honeywell Impact Sport Sound Amplification Earmuff, Item # R-01526, Allows wearers to hear important communications, including other shooters and environmental sounds, Directionally placed stereo microphones amplify and enhance sound for more natural hearing. 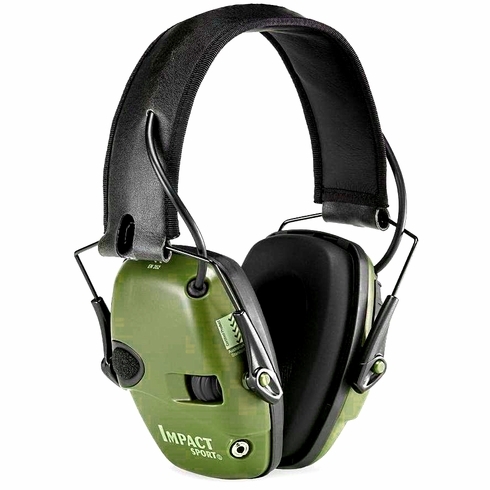 Sleek, extremely low profile earcup design allows for full clearance of firearm stock. Automatic 4 hour shut-off increases battery life. • AUX input allows connection to external MP3 players or other audio devices for additional listening off the field.